44 year-old Charles Pedigo was located at a home on H E Johnson road by the Warren County Sheriff’s Department around 6:15 Saturday morning. Kentucky State Police say a homeowner called police about a man on her front porch trying to quiet her dogs. 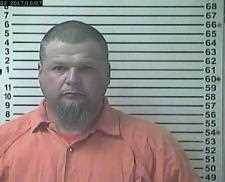 Pedigo was arrested and taken to the Warren County Regional Jail. He originally escaped the Green River Correctional Complex Wednesday night. It’s not clear how he was able to escape.